Today, on our 5th anniversary at KeyLimeTie, we’re excited to announce another excellent product. MojoBistro, built especially for restaurants, lets individuals and organizations create and maintain their own customer-centric mobile apps and websites. 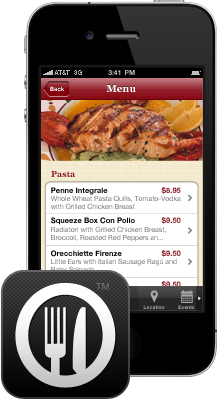 Have you considered an iPhone, Android, or Windows app or mobile website for your restaurant? Today, in May 2012, there’s more reason than ever to join the mobile revolution. Specifically designed with restaurants in mind, our unique set of features showcases the menu, increases reservations, offers an ordering solutions, connects users with your location wherever they are, and interacts with your and their already existing social networks such as Yelp, Facebook, Twitter and Foursquare. Launching on May 5-8, 2012 at the National Restaurant Association, KeyLimeTie is proud to announce this industry-changing product that’s already garnering national attention even before its launch. Attending the NRA Show 2012? Visit us at Booth #7173 in the North Hall. Throughout the coming months, we’ll highlight upgrades to MojoBistro and other happy news that you will definitely want to pay attention to. Of course, you can expect that at KeyLimeTie, we’re making waves in designing, developing and delivering high-quality interactive solutions. MojoBistro isn’t successful until you are, so we’ve produced a series marketing tools to make restaurants’ app a success--online and off. Also follow our social media channels to get constant recommendations for marketing your apps. ‘Like’ us on Facebook and follow us on Twitter @MojoBistro for our latest tools, features and new developments.